My affair with History started when I was really young. I simply fell in love with history, so you may call it, ‘my first love’. But then, probably due to the hierarchy that we have created in our minds regarding the choice of courses after 12th std., I went for Mechanical Engineering and did not opt for History as a full-time subject for graduation. Still, I continued reading a lot of history. So, for me, History was a natural choice for the UPSC. Actually, studying history was one of the many things that kept me motivated during the examination process. History is such a subject on which umpteen books are available on each topic in the market. As the view of the past constantly changes, even the same facts can be interpreted differently. A candidate is not expected to conduct research on the subject but to master the various viewpoints and substantiate the viewpoint that one believe strongly in. E.H.Carr, while defining ‘what is history’, has noted that history is a ‘continuous dialogue’ between the past and the present. So, it is not just the past events that shape our present and our future, but also the present that changes the way we interpret history. This is especially reflected in the Nationalist school of historians as well as in the leftist or Marxist school of historians. So, according to me, having the ability to forge your opinion and sieve through different layers of history is also a necessary art to master the subject. The study of history reveals that there is no clear cut answer for anything. Since understanding history is based on individual--and therefore subjective--interpretation, you must decide for yourself what kind of meaning you will attach to the topic. Go into history with an open mind. Don't expect the answer to be presented to you as if written in stone. It's not. It is sensible to start with manual for civil services (preliminary) history optional. Manuals by Krishna Reddy, Agnihotri as well as Pearson Manual are very good. Refer any one of these manuals according to your own choice. Apart from this, the most important books are the 11th and 12th std. NCERT books for Ancient India, Medieval India and Modern India. These books are a treasure-trove of information and insights into the subject and are to be read, not once or twice but as many times as time permits. Believe me, it won’t go waste. IGNOU Booklets are also an extremely good source to study history. The approach that I followed was to read the manual first, then read the books on the subject and finally read the manual again. Also constantly keep on solving multiple choice questions on the subject. They help a lot when you have to finish the syllabus in a short time and effectively. I won’t spend any time on discussing the syllabus here. Just keep in mind that one must fine the central issue, tendency or idea in each period of history. It helps in analyzing the period and also in establishing the cause-effect relationships between different events. Eg. During the Mauryan Age, the most important tendency was that of centralization of power despite a huge bureaucracy. When we understand this tendency, it suddenly opens new avenues to analyze Ashoka’s policy of consolidation of the empire after the victory at Kalinga, by the use of Dhamma. Immediately, we start viewing the decision of Ashoka to turn towards Buddhism not as an emotional decision but as a political one. This is just one example. And again, my interpretation may be wrong. That’s why the emphasis on understanding the subject and developing your own opinion. There is no unique strategy to study this subject. Primarily, this depends on your individual style of study. It is advisable to make notes, so that you can refer to them for prelims as well as mains. But I never had the habit of making notes throughout my student life and hence did not do so for UPSC too. I merely underlined important facts and issues in the book and wrote the gist of the entire paragraph in one or two words in the margin. This helps in making sure that you’ve actually understood the point as well as during revision time. Just keep it in mind, solve as many questions as you can. It helps. In the Mains exam, there is a Map-marking question for 60 marks in Paper-1, which can help you in coming out with flying colours. To solve this question, keep on referring to the Atlas whenever you come across some site while reading the books and note down the importance of the site. Specially for this question I referred “History through Maps” by Ensemble. It’s a fairly good book, but ultimately nothing can beat your own maps (done while studying the subject). 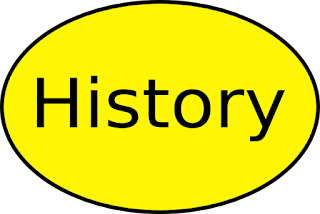 Another important thing to bear in your mind is that History is an inter-connected subject, where the events occurring in one part of the world can have implications on events taking place in another. Don’t form water-tight compartments in your mind regarding the division of history as Indian History and World History, or Ancient, Medieval and Modern India. There is an invisible web of interconnections that runs though all this and we need to identify that web, which will become the USP of your answers. Eg. If you are asked to write about the Reasons behind the Charter Act of 1813, which substantially abolished the monopoly of East India Company over trade with India and China, everybody will know the events that occurred in India that made this move necessary. Also, most candidates will be aware of the happenings in British Parliament that necessitated this move. But only the person who has deciphered the web of interconnections will know that a main reason for the Charter Act of 1813 was the Continental Policy of Napoleon. Now, if you say that this is a part of world history, you’ll lose the USP of your answer to this question. So, use your knowledge to make the answer as unique as possible and find out the connections and causality. Another thing about studying history for the UPSC is that we have to get rid of the notion that this is a subject about great kings, emperors, their grand empires and even grander victories or failures. It is actually all of this and much more. There is a saying in Sanskrit, “Yuddhasya katha ramya”, which means ‘we like to hear the stories of war’. They give us some kind of pleasure and arouse a lot of interest. But a major part of history is about society, the most downtrodden man and his life during the period, the condition of women, economy, advancements in culture, science, literature, arts etc. So, undoubtedly, there is a need to develop a ‘subaltern view’ of history. So choose the subject only if you feel interested by all of this. Finally, all this is for those immortal souls who would like to understand the subject and enjoy mastering it. Keep this in your mind, ‘Master the subject, and marks will follow you’. But is there any other way of just clearing the exam without mastering the subject? Can you clear the exam with history as an optional without having the proper attitude or ever loving the subject? Of course you can. But why make life miserable for ourselves? Why not make the effort. Rather than go through the motions, make history a part of your life. After all, that's exactly what history is--it is your life.